The mooring field. 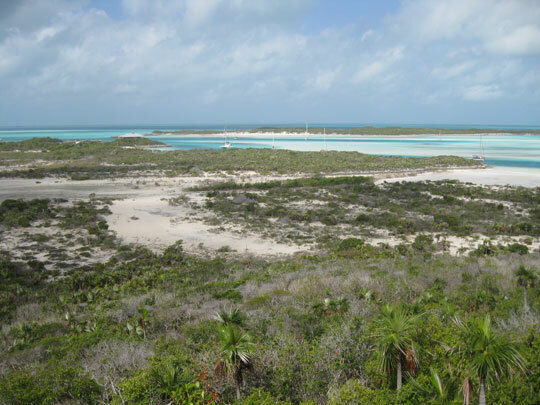 Look at how close the sandbar is behind and in front of the boats. 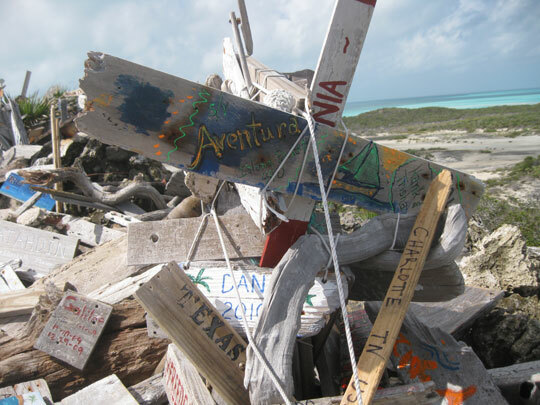 The sun shone on Tuesday morning and we were finally able to visit ashore. We hiked to the top of Boo Boo Hill and down several trails. Greg did some snorkeling. There was so much to see, we hardly made a dent in it. 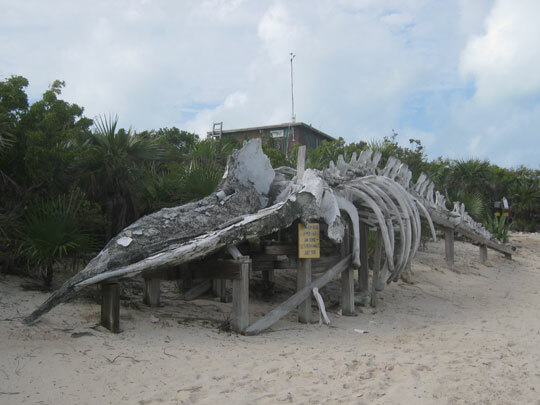 Our first stop ashore was at this skeleton of a sperm whale who apparently met his demise by eating plastic. 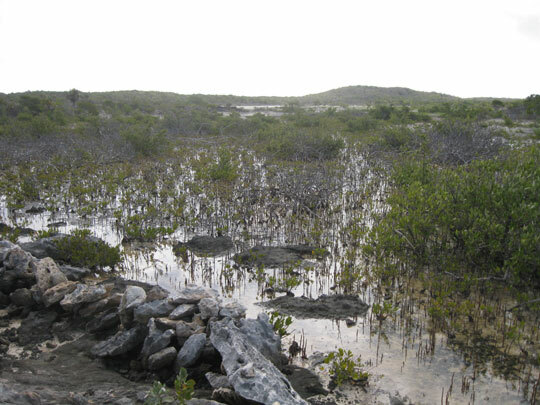 We walked through this mangrove swamp on our way to the top of Boo Boo Hill. Snady brushy terrain on the way to Boo Boo Hill. 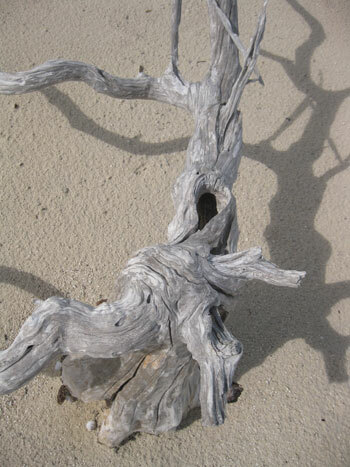 Driftwood and shadows on the sand. Once we reached the top of Boo Boo Hill we discovered a different kind of cairn. 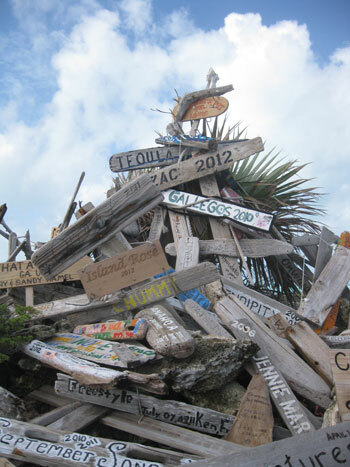 Maybe next time we will paint Blue Wings name on a board and leave it with the rest on top of Boo Boo Hill. View north from Boo Boo Hill. 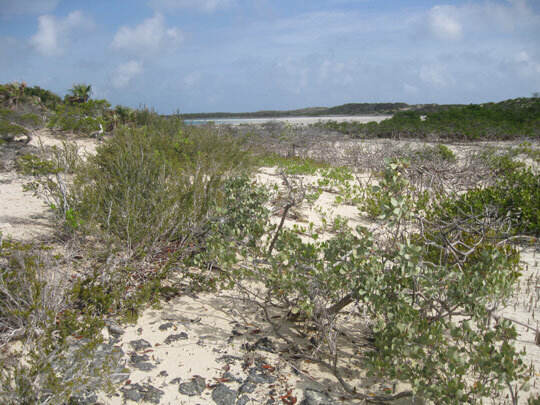 This part of the island was closed off due to nesting birds. Southwest view from Boo Boo Hill. 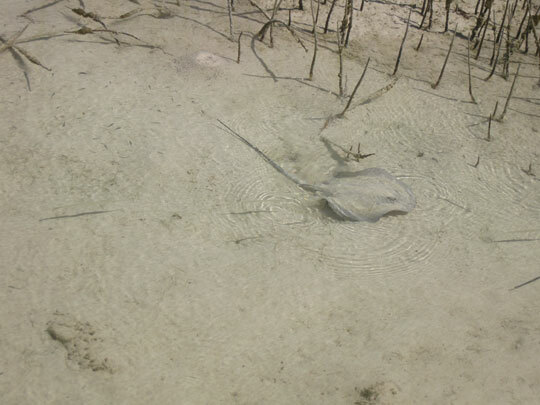 Rays like to hang out at low tide in this shallow water area. 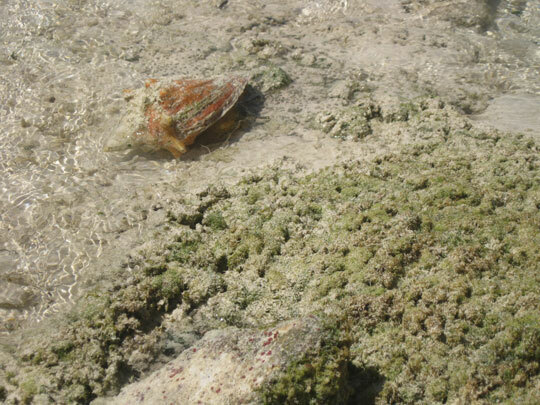 Conch get to die of old age here at the Land and Sea Park. This one takes a break from crawling to peek out at us. Hutia spore. 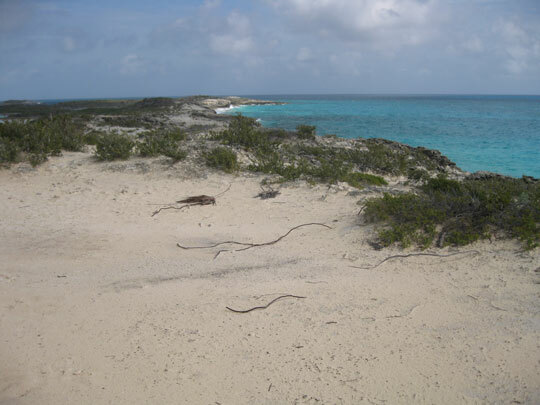 The endangered hutia is a nocturnal vegetarian rodent, the only land mammal native to the Bahamas. 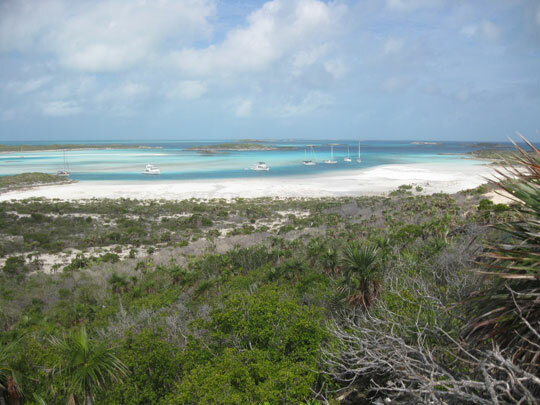 They are only found on East Plana Cay, Little Wax Cay and Warderick Wells Cay in the Exumas. West view from Hutia Hill. A view of butterfly beach. 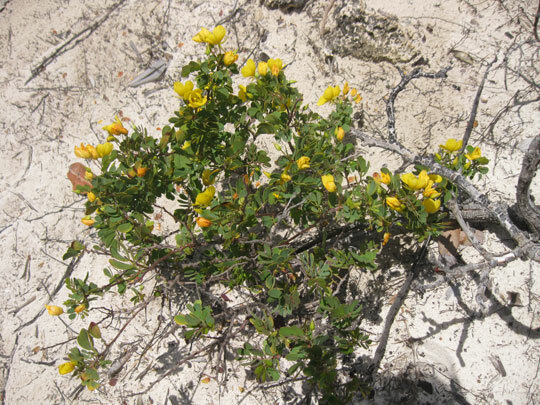 This was the only flowering shrub we saw during our trek on the island. 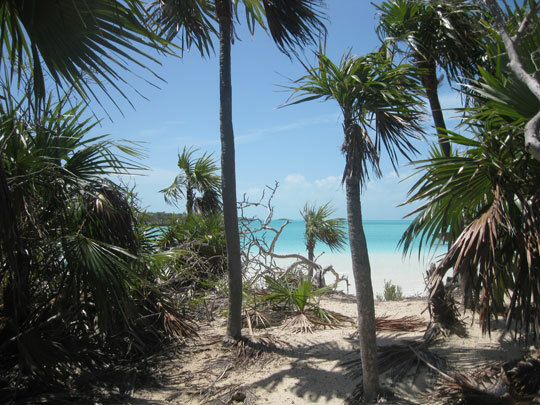 This entry was posted in Life on the Water, The Bahamas, The Exumas and tagged Boo Boo Hill, Exuma Cays Land & Sea Park, Island Hike, Sea Life, The Bahamas, The Exumas, Warderick Wells. Bookmark the permalink. 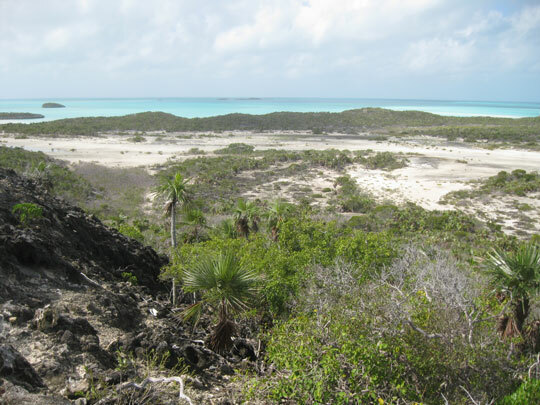 Not pictured in this post are the Stromatolite reefs. 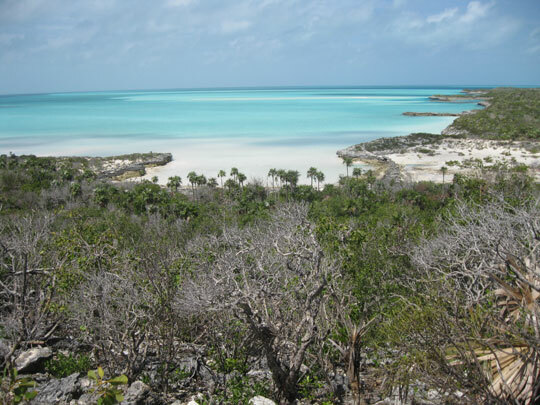 Stromatolites were the precursors of current coral reefs. 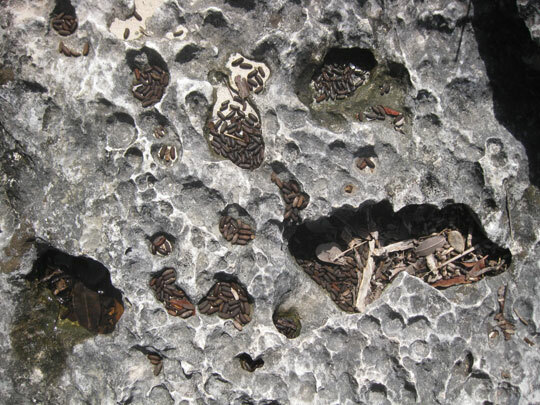 They were thought to be extinct until living stromatolites were found in Australia during the 1980s. 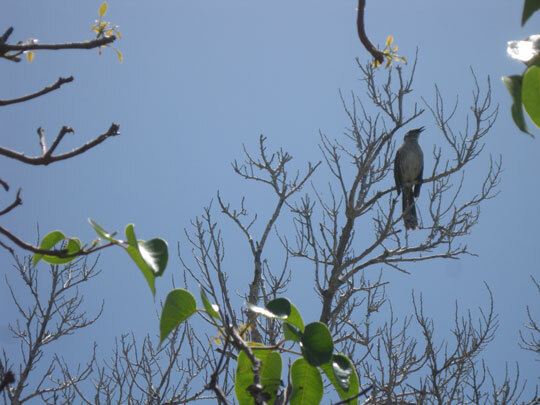 More recently they have been found in the Exumas. Stromatolite fossils show that they were common for most of Earths living history (three billion years), dying out 650 million years ago. 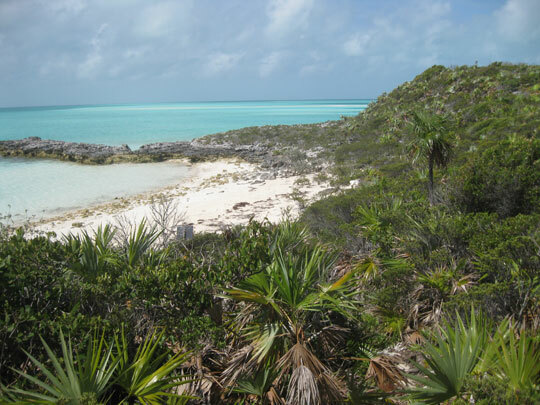 The reefs here are being studied closely.